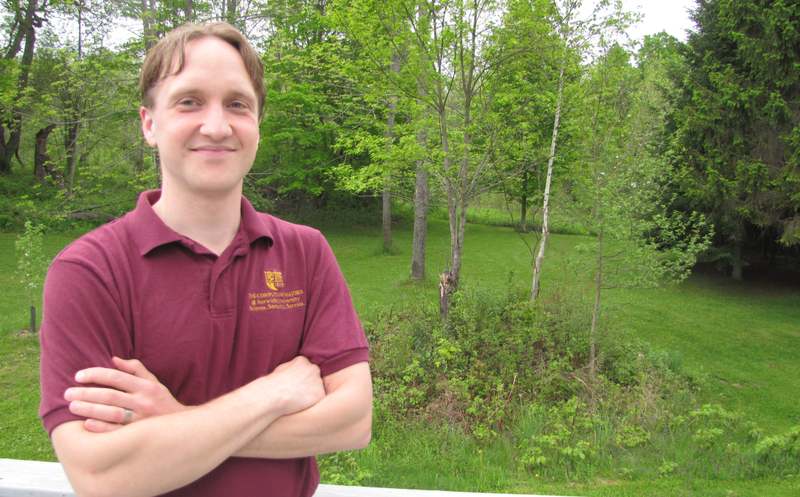 Jeremy Hansen of Berlin, Vermont, an assistant professor of computer science at Norwich University and a member of the Selectboard in the Town of Berlin, announced today that he will seek a seat representing Northfield and Berlin in Vermont’s House of Representatives. He will kick off his campaign with an informal “meet and greet” with Northfield and Berlin residents at 7PM on Thursday, June 12th at the Knotty Shamrock Pub at 21 East Street in Northfield. Hansen’s primary goal is to reduce the influence of money in the democratic process. “People have an expectation that their representatives in government will represent them, and take their interests to heart. When special interests contribute to a political campaign, there’s an expectation that the politician will return the favor,” said Hansen. He has pledged not to accept any campaign contributions from corporations or from groups that accept corporate contributions, and asks all candidates in Berlin and Northfield to take the same pledge. Ensure that Vermont’s children have an opportunity to learn useful skills in trades and technology from pre-Kindergarten through high school. Train and retain information technology professionals that work for the State. When new projects arrive, allow the state employees to own the project instead of taking on expensive consultants from outside Vermont. Better fund the Vermont State College system, with an eye towards building professional and vocational skills of workers who will remain in-state. “We can build good jobs here, but it’s not going to happen overnight,” Hansen explained. Born in Wisconsin, Hansen earned his Master’s and Doctorate degrees while holding full-time positions in the field of information technology. Hansen moved to Vermont after receiving his PhD to accept a position at Norwich University. He teaches a variety of topics in computer science and information security, and conducts research on privacy in social networks, security of medical systems, and social choice theory. He serves on the Berlin Economic Development Committee, the Board of Directors of the Berlin Volunteer Fire Department, and the Faculty Senate at Norwich University. Hansen lives with his wife and two young children in Berlin.